A day late this week as Tuesday was hectic. But here we are with the Top 10 Comedy Sequels. Joining John and Matt this week was Samm Levine, actor and Movie Trivia Schmoedown Champion of the WOOOOOOOOOOOOOOOOOOOOOOOOORLD! I really the discussion with Samm and the guys at the beginning of the episode. This was highly entertaining and showed us a fun connection with them. I have grown to enjoy Samm’s work in the Schmoedown and I loved the much too short show, Freaks and Geeks. The discussion of how Samm got his role in Inglorious Basterds with Quentin Tarantino was fun as well. Moving into the topic, this one could be a little hairy. Many times the sequel to a comedy is terrible because either it is a rehash of the original or it has pushed the idea too far. The Hangover was a remarkably funny film but Hangover II was a total failure. Zoolander 2, Dumb and Dumberer, Anchorman 2 are all examples of films that were horrid sequels to funny films. The following ten are pretty solid films that, for the most part, avoid such a trouble. #10. 22 Jump Street. I wanted to include this for a certain reason. Though this was not my most favorite film, I, unlike most, really hated the original 21 Jump Street. But I found this to be a superior film to the first one, and it included one of the best scenes of all- when Ice Cube found out that Jonah Hill was sleeping with his daughter… Channing Tatum’s reaction was worth the addition on this list alone. Plus, the great ending credits for 23 Jump Street beyond. #9. National Lampoon’s Christmas Vacation. I have never been a huge fan of the Vacation movies, but of the bunch, Christmas Vacation would be the one that was the most entertaining and certainly the most iconic. #8. Ghostbusters 2. Sure this is no where near the greatness of the first film, but Ghostbusters 2 is not without its merits. Certainly, the cast is tremendous together and returns to bring the chemistry with them. They go all in with the dancing Statue of Liberty as well. Peter MacNicol brings a fantastic comedic performance as Dr. Janosz, perhaps the standout of the movie. Yes, the inclusion of Slimer was a definite low point, but just fan service to the cartoon series. Ghostbusters 2 is not as bad as you think. #7. A Shot in the Dark. I just finished this one. I love Peter Sellers and this is a comedic tour de force as the bumbling Inspector Closeau. Sellers was a master of slapstick and his constant clumsiness and pratfalls of the detective was wonderful. The mystery itself is secondary to seeing Sellers command the screen. And I loved how Cato kept finding ways to attack Closeau at the worst possible times. Somehow, Closeau was able to end up solving the case (kind of) and kissing the girl (the beautiful Elke Sommer). #6. 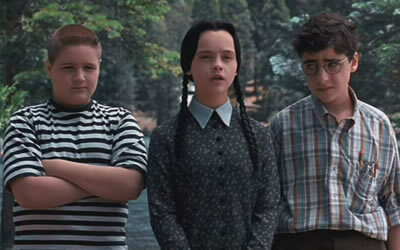 Addams Family Values. I haven’t seen this one in a while, but I can remember how much more I enjoyed this one than the first one. Great cast and great casting brought this group of characters from the TV screen to the big screen and gave us a hilarious dark comedy with weird characters who were at one time Kooky and at another time creepy. #5. Naked Gun 2 1/2: The Smell of Fear. Leslie Nielsen returned from his role as Frank Drebin and arrives to deal with big energy. But, of course, there was the normal cameo from “Weird Al” Yankovic. Though this may not have been as funny as the first one, Naked Gun 2 1/2 brought us more silliness and some great slapstick. And Weird Al. Oh…and OJ is there too. #4. Back to the Future II. I actually prefer this sequel to Back to the Future III. I love the explanation of time travel that Doc Brown gives Marty and I thought it was remarkably clever for the return to 1955 and the reshooting of the Enchantment Under the Sea dance. We also got the hover board, the prediction of the Cubs winning the World Series (a year too early) and three timelines. 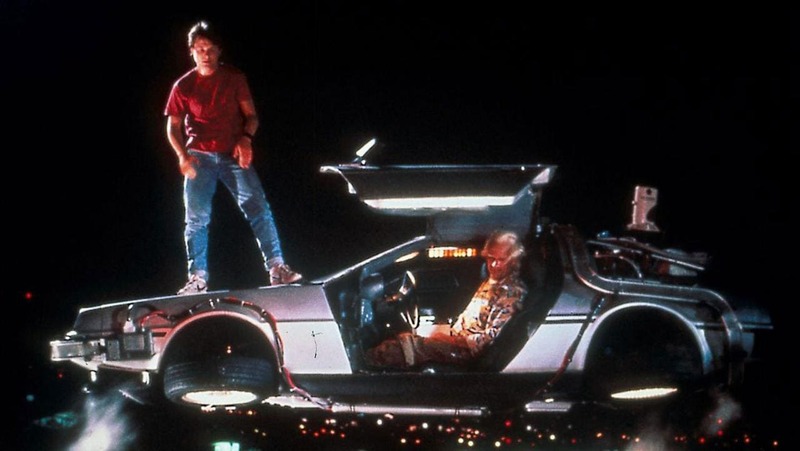 One could argue that Back to the Future is not a comedy, but I think it fits here as well as some of the other films on this list. #3. Toy Story 2. 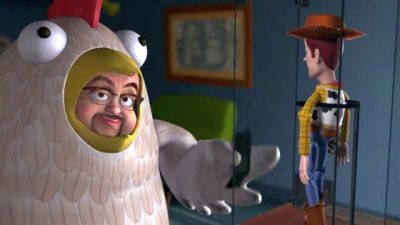 Toy Story 3 is actually my favorite of the Toy Story movies, but I consider Toy Story 2 more of the comedy than the third one. Third one gets pretty dark at times. Woody kidnapped by a crazed collector looking to complete the set brings the cowboy back to his roots in this clever sequel. #2. 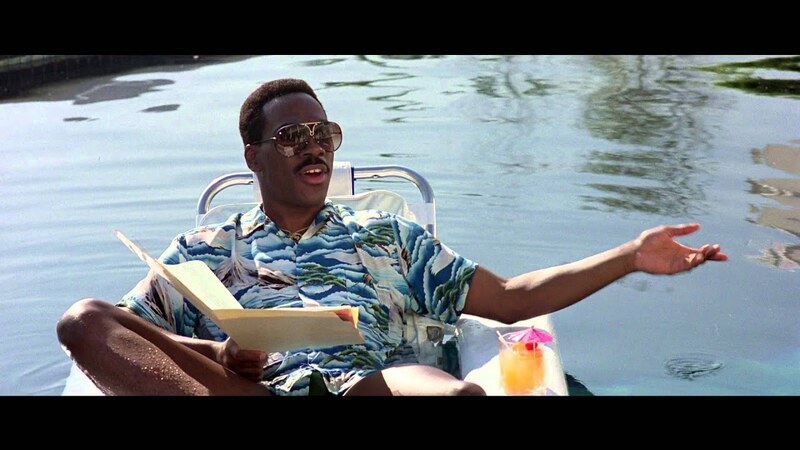 Beverly Hills Cop 2. Eddie Murphy returns to Beverly Hills in the sequel that sees him looking to solve the attempted murder of his friend, Captain Andrew Bogomil. This was another of the Alphabet Murders that the Captain had been investigating and this required Axel Foley’s unique style of investigation to complete. This film, much like the previous one benefited from great chemistry of Murphy, Judge Reinhold, and John Ashton. #1. The Muppets (2011). Though this could be any number of Muppet sequels following The Muppet Movie, I chose this film because of the great sense of nostalgia and how wonderful it felt to see the Muppets return to the screen together. There were some great songs, including Man or Muppet, and a personal favorite, Pictures in My Head. Starring Jason Segel and Amy Adams, The Muppets had to put on one more show at the old theater before the evil oil baron Tax Richman could get his hands on it. Every scene brought feelings from the past and blended together into one of the best Muppet movies in years.